SAN DIEGO, CA – (July 16, 2018) – Telemundo 20 San Diego / KUAN today announced the launch of a new consumer investigative unit – Telemundo 20 Responde – that will answer inquiries from local consumers who fear they may have been wronged in any way. Telemundo 20 San Diego joins other Telemundo-owned stations that already feature local Telemundo Responde consumer investigative units. Collectively, Telemundo Responde teams located across the U.S. and in Puerto Rico have put more than $6 million back in consumers’ pockets. As Consumer Investigative Reporter, Sergio Flores will lead Telemundo 20’s Telemundo 20 Responde unit. Flores’ first Telemundo 20 Responde report will air during the station’s local weekday evening newscast, Noticiero Telemundo 20 at 11 PM (PT). His reports will continue to air daily during the station’s late local newscast. Launched in 2014, the Telemundo Responde units have recovered more than $6 million for consumers in 14 markets, including Los Angeles (KVEA), New York (WNJU), Miami-Fort Lauderdale (WSCV), Houston (KTMD), Dallas-Fort Worth (KXTX), Chicago (WSNS), Harlingen (KTLM), San Antonio (KVDA), the San Francisco Bay Area (KSTS), Phoenix (KTAZ), Tucson (KHRR), Las Vegas (KBLR), Denver (KDEN) and Puerto Rico (WKAQ). Owned by NBCUniversal, Telemundo 20 San Diego is Telemundo’s local television station serving nearly 1 million Hispanic viewers in the San Diego market. Telemundo 20 San Diego delivers its viewers 10 hours of live, locally produced news every week across all platforms. The station’s newscasts feature local breaking news, exclusive “First Alert” live, local weather forecasts, sports reports, international news as well as reports from Telemundo 20 Responde, a consumer investigative unit. Telemundo 20 provides coverage viewers can count on across all platforms, including online at www.Telemundo20.com, via its dedicated station app and through its social media channels. 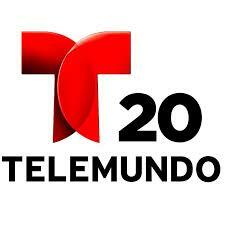 Telemundo 20 also delivers Spanish-speaking viewers world-class programming produced by Telemundo network.